European Commission President Jean-Claude Juncker comes armed with options. On the cusp of a trade war with the European Union, President Donald Trump meets Wednesday with European Commission President Jean-Claude Juncker, who comes armed with options to defuse the threat of a 20 percent tariff on European cars. Acknowledging Trump’s fixation on the German car surplus, Juncker, according to a senior European official, will offer two solutions: eliminate tariffs on cars for all trading partners or create a limited free trade agreement between the U.S. and EU on industrial goods. To move forward with either, the U.S. will have to drop the tariffs on steel and aluminum implemented last month and agree to not move forward with tariffs on European cars, the official said. It’s unclear if either of the offers will stick. The administration views the more than $100 billion deficit with the EU as an issue that can’t be fixed by just eliminating tariffs on vehicles. The European official said a major breakthrough at the meeting is not expected. Trump has presented the deficit as a national security issue as a way to circumvent Congress when imposing tariffs. 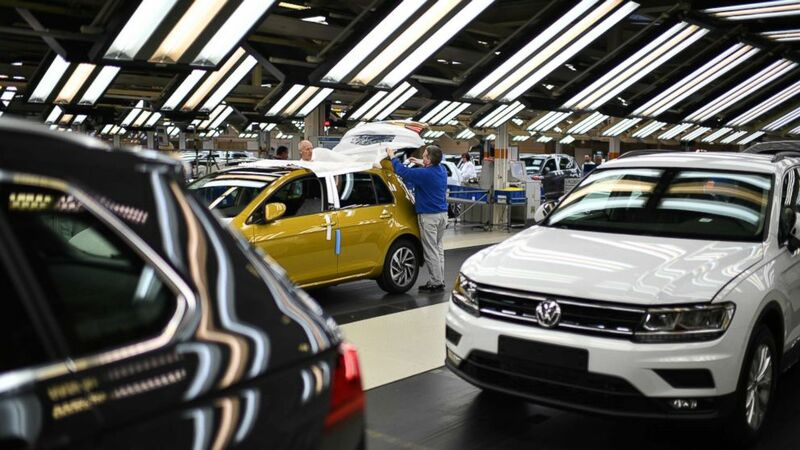 (Alexander Koerner/Getty Images) Workers assemble Volkswagen Golf cars at the Volkswagen factory on March 8, 2018 in Wolfsburg, Germany. He comes to the table with some political capital after announcing a $12 billion temporary aid package for farmers affected by tariff retaliation. At the same time, Trump faced criticism from politicians in his own party because of the already ballooning deficit. “I think there are better tools that we can use to hold abusers of trade law and people whose countries perpetuate unfair trade practices [and] get them to play fairly,” House Speaker Paul Ryan said. The EU has already launched retaliatory tariffs, targeting items like orange juice, bourbon and Harley Davidson motorcycles. 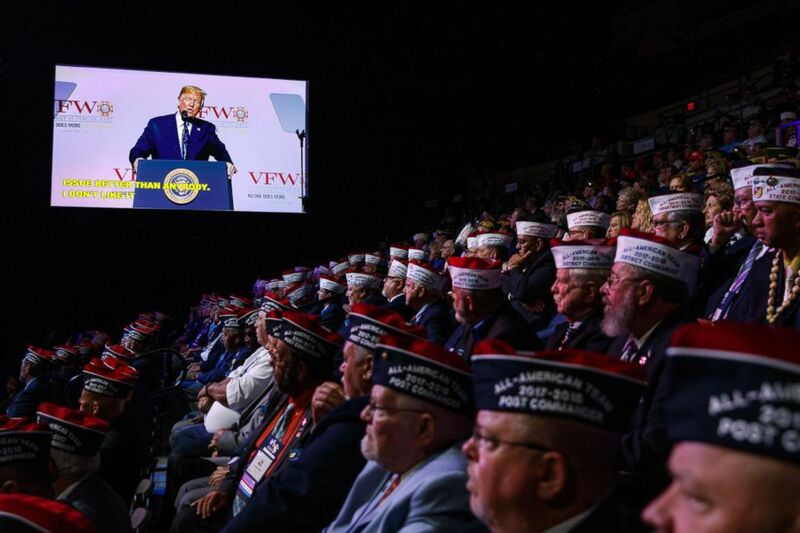 (Evan Vucci/AP) Audience members listen as President Donald Trump speaks during the Veterans of Foreign Wars of the United States National Convention,July 24, 2018, in Kansas City, Mo. Juncker, a gregarious Luxembourger, isn’t likely to bend but he heads into the sit-down with little information. The EU currently has a 10 percent tariff on U.S. car imports while the U.S. has a 2.5 percent tariff on European cars. When the conditions were agreed upon, the U.S. favored a 25 percent tariff on European trucks and SUVs to protect that U.S. industry. The European official conceded that lowering or eliminating tariffs on steel, aluminum, cars and agricultural products won’t significantly address the bilateral deficit, which is affected by macro-economic issues. “If the problem is the deficit," the official said, "then we can’t fix it."